Very Good. Doctor O'Reilly heeds the call to serve his country in this new novel in Patrick Taylor's beloved Irish Country series. Mass market (rack) paperback. Glued binding. 464 p. Irish Country Books, 9. Good. 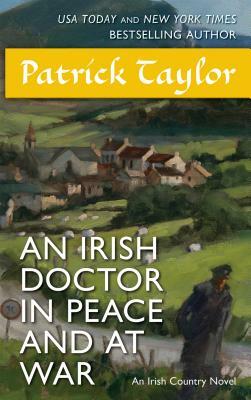 Doctor O'Reilly heeds the call to serve his country in this new novel in Patrick Taylor's beloved Irish Country series. Mass market (rack) paperback. Glued binding. 464 p. Irish Country Books, 9. New. Mass market (rack) paperback. Glued binding. 464 p. Irish Country Books, 9.